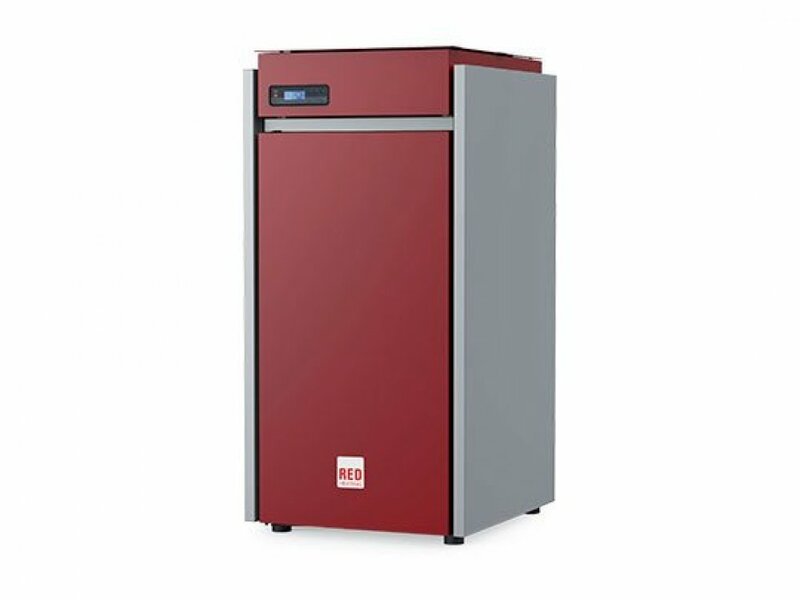 Pellet boilers are an ideal solution for heating all types of buildings in a more eco-friendly and cost-effective way, from private homes and blocks of flats to industrial or commercial facilities. 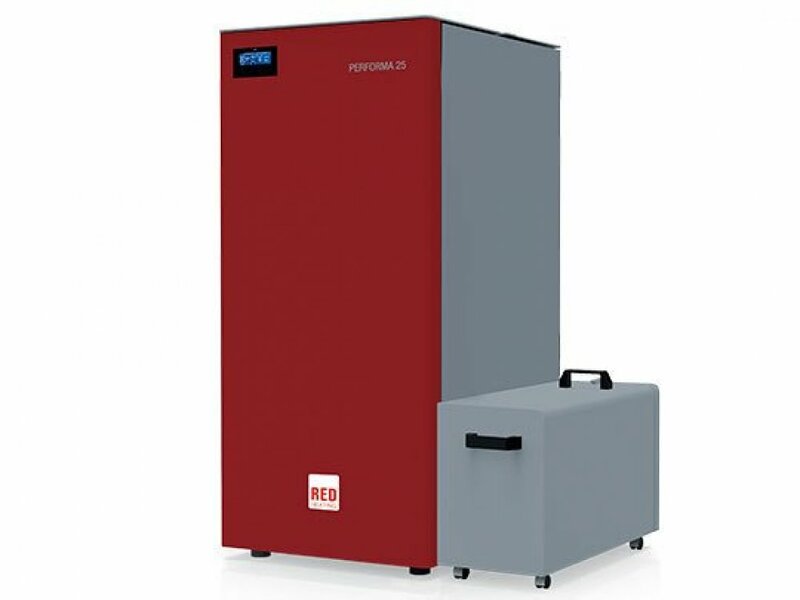 Just like conventional boilers that use fossil fuels, pellet boilers can heat both the water circulating in the radiators and water for domestic use, but with additional advantages in terms of environmental impact and savings. 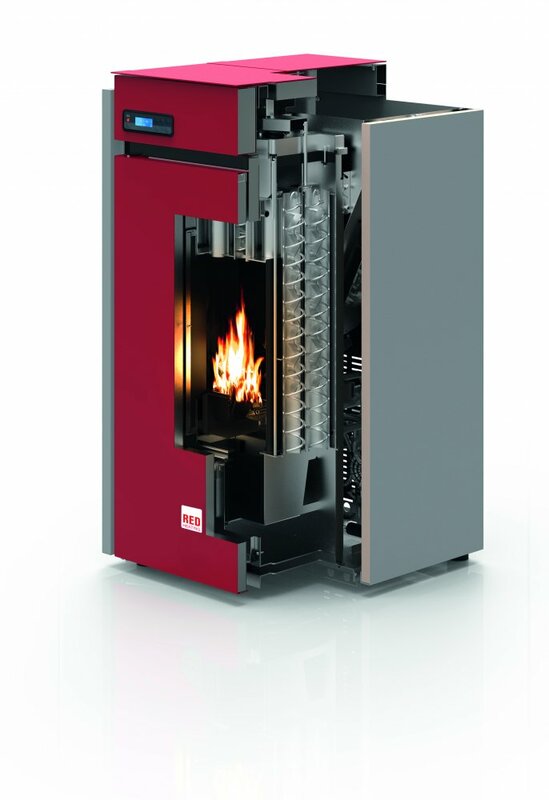 RED boilers are designed to burn only pellets, a biofuel derived from the processing of natural wood, which is renewable and neutral in terms of carbon dioxide emissions. Pellets also cost much less than traditional fuels used in heating such as oil. Using a pellet boiler on a daily basis is not that different to using a gas boiler. Pellet boilers can be set to switch on and off automatically with the use of a highly intuitive digital control panel. 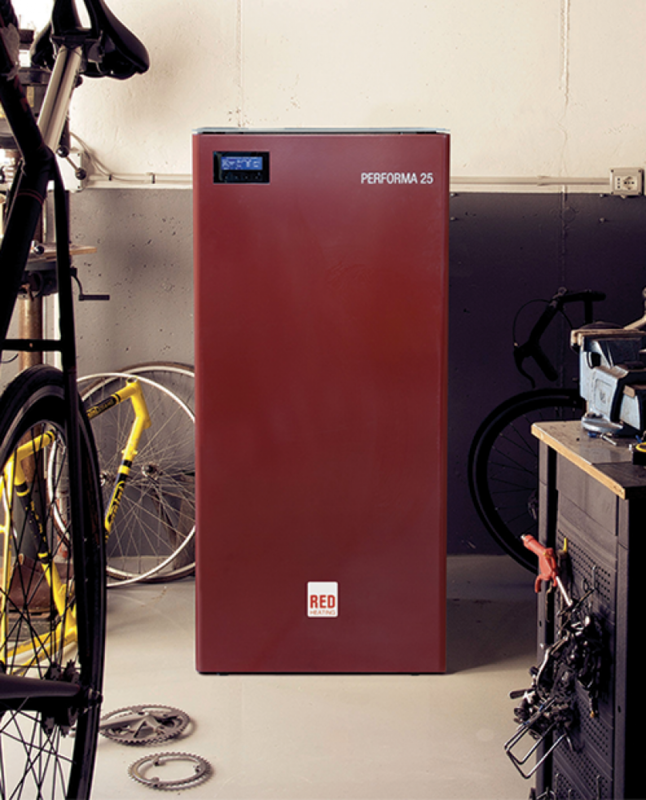 Latest-generation pellet boilers (such as the Performa models) allow users to set the temperature required and check their operation remotely, via an app that can be installed on a smartphone. RED boilers come fitted with a built in hopper (the tank that holds pellets) and if extra space is available, the boiler can be connected to an external hopper for added capacity. Since January 2018, it is a legal requirement for all newly manufactured solid fuel appliances to display an Ecolabel. The information shown on the energy label includes the supplier’s name or trade mark and model identifier, the energy efficiency class and the direct heat output of the appliance in kW. These labels are exemplified by the multi-coloured A to G sticker seen on white goods such as fridges, freezers and washing machines.